The long-time Ram is officially on the move. Saffold is currently the longest-tenured Ram as he’s spent nine seasons with the team after being selected 33rd-overall in the 2010 NFL Draft. Over the course of multiple coaches, regimes, and positions (LT, LG, RG, RT), Saffold has played in 114 games as a Ram. Saffold nearly departed in 2014 as he signed a five-year $42.5m contract with the Oakland Raiders, though it was suspected they had buyers remorse and purposely flunked his physical, sending Saffold right back into the free agent pool. Eventually Saffold and the Rams came to an agreement on a five-year $31.7m contract. Recently, the Rams’ LT Andrew Whitworth announced he was going to return for another season after contemplating retirement. C John Sullivan’s fate wasn’t as good as his option on his contract was not picked up, sending him to free agency. 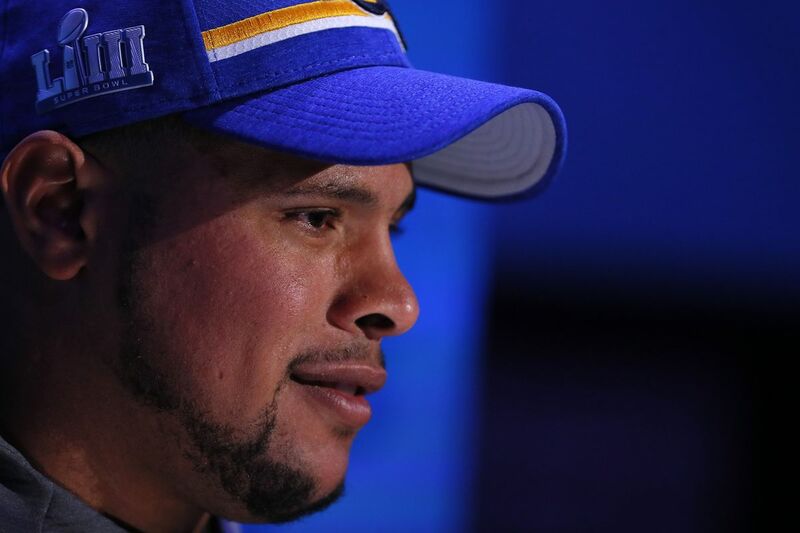 Have we seen the last of Rodger Saffold in horns? Former Rams' OL Rodger Saffold intends to sign a four-year, $44 million deal that includes $22.5 million guaranteed with the Tennessee Titans, per source.